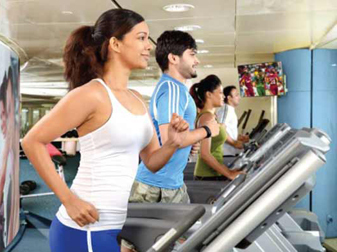 Nations Trust Bank (NTB) has reintroduced its fitness and wellness initiative to kick-start 2016 on a positive note, enabling its American Express Card members to a host of savings at gyms, sports goods stores, spas, opticians and pharmacies. In its second consecutive year due to its popularity the Nations Trust Bank, American Express Card wellness and fitness plan will enable Card members to stay fit and healthy or set some new fitness objectives, by enabling a 15% to 20% savings on select gym memberships; 10% to 15% saving for sportswear and fitness equipment; a 20% to 30% savings at select spas; 10% to 15% savings at hospitals and opticians and up to 10% savings at pharmacies. These offers will be spread across 40 fitness and wellness partners across the island. Every transaction above Rs. 25,000 at any fitness or well-being organization can be converted into an installment plan. The offer is valid till February 29, 2016. Head of Cards for Nations Trust Bank, Nimesh Fernando said, "We are always looking at ways to reward our Card members and what better way to start the New Year than on a healthy note. The end of the festive season always reminds us that we need to get back on track to leading a healthy lifestyle and since this is the second year we are running this offer, we believe many of you are up for gym membership renewals. Therefore we have expanded the offers available to ensure the best for you to keep your fitness goals in 2016."